Batman Begins, released a decade ago in 2005, brought a level of respect and earnestness to live-action-big-budget comic book adaptations that had never been seen before. If anything, the film swung so hard in the opposite direction of appearing campy or cartoony that it robbed itself of some potential visual flair. I, personally, prefer a gothic and highly stylized version Gotham to Chicago with a little bit of CGI. Still, whatever was lost in aesthetics was gained in a grounded reality that opened it up to audiences who just aren’t into animation and special effects. Despite my preferences, the film looks great and earned an Academy Award nomination for Best Cinematography. This touch of reality also made Gotham and the whole world of Begins feel larger in scope and more heavily populated with normal people in addition to costumed weirdos, of which there are few in this first movie in the trilogy. The only two characters that would be out of place in a traditional cop or Bond movie are Batman himself and eventually Scarecrow – who is played brilliantly by Cillian Murphy. Batman Begins doesn’t just re-imagine the look and feel of the Batverse, but also the narrative. The whole first act plays like a shot at the Tim Burton continuity while it establishes the core theme that Batman does not kill. “Your compassion is a weakness you enemies will not share,” Ra’s al Ghul (Liam Neeson) tells a pre-bat Bruce Wayne. “That’s why it’s so important,” Wayne replies, “It separates us from them.” This moment is when our hero draws a line that will become very important once a certain clown decides to test this conviction, but that’s a discussion for another time. What still strikes me about Batman Begins is how it found a balance between a faithful adaptation of the characters while broadening the scope of who super-hero movies could be for. You could take you mom and dad to this flick because they used to watch NYPD Blue and would feel right at home at least until stuff starts to get weird about half way through. Bringing on serious actors for more than just the lead roles in Batman Begins – Michael Caine as Alfred, Gary Oldman as Jim Gordon – the movie is focused as much on character development and dialogue than it is on fistfights. There are two reasons Batman Begins doesn’t rank higher on this list. First, it set the foundation for two superior films that hit many of the same beats but add even more. And second, Bat-voice. Actually, I’m kidding. 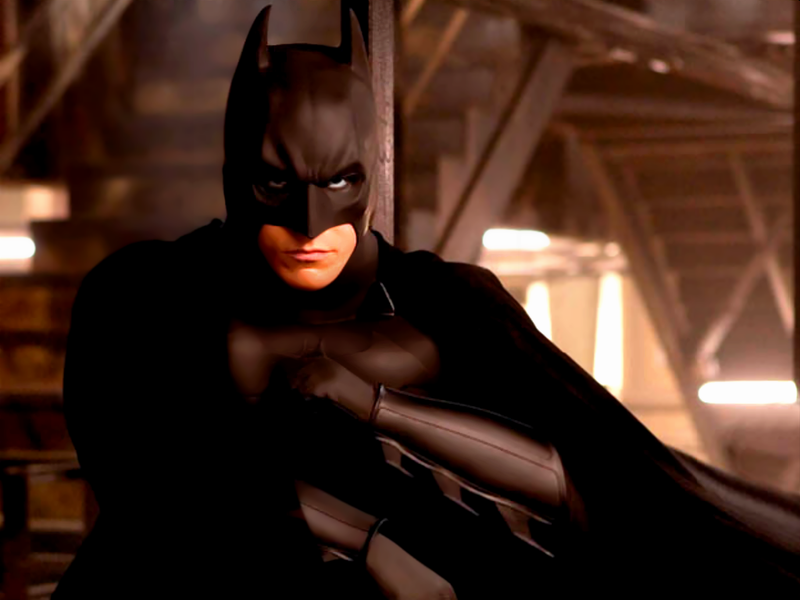 People made way too big a deal about Christian Bale’s choice to grumble when he puts on the cowl. Batman Begins was important because it proved you could take this stuff seriously, still squeeze in moments of levity (every scene with Morgan Freeman’s Lucius Fox) and show real love for the source material. Batman Begins couldn’t have been a more appropriate word to have in the title. Christopher Nolan and his team managed to wash out the bad taste of the last few Batman incarnations, lay the foundation for some of the best adaptations of all time, and set a new standard of excellence for the genre … in approximately 141 minutes of film. And in doing so, Batman Begins helped reboot the industry right along with one of its most beloved heroes.